The goal of input-output modeling is to apply a test input to a system, analyze the results, and learn something useful from the causee ffect pair. Any automated modeling tool that takes this approach must be able to reason effectively about sensors and actuators and their interactions with the target system. Distilling qualitative information from sensor data is fairly easy, but a variety of difficult control-theoretic issues — controllability, reachability, and utility — arise during the planning and execution of experiments. 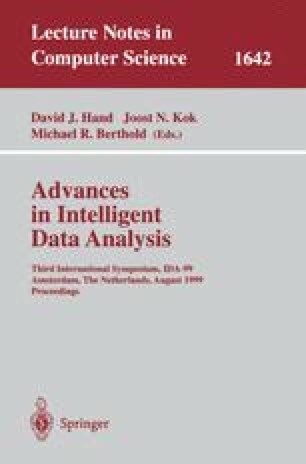 This paper describes some representations and reasoning tactics, collectively termed qualitative bifurcation analysis, that make it possible to automate this task. Supported by NSF NYI #CCR-9357740, NSF #MIP-9403223, ONR #N00014-96-1-0720, and a Packard Fellowship in Science and Engineering from the David and Lucile Packard Foundation.